MailNavigator is a mail and news client that contains some unique capabilities. It contains a system for retrieving information from the archives of most popular mail programs, including Microsoft Mail, News, Outlook, and Outlook Express; Netscape Messenger; Eudora; Forte Agent; Pegasus Mail; The Bat; Eserv; and Fidonet mail. The description language of the filters includes the standard operators: or, and, not, near, their synonyms, and parentheses for defining the order of operators. The search can be executed on the whole word or on a part of a word. Changes: The algorithm of reading Outlook Express dbx files is improved. 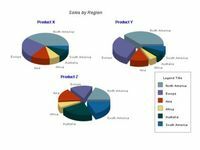 The latest version of MailNavigator adds the capability of exporting messages in Eudora Mail format. 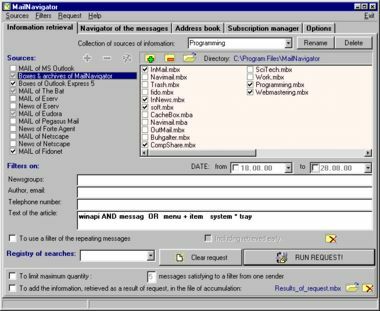 As the mbx format of Eudora mailbox files is rather popular, this means that now you can export messages from MailNavigator to Outlook Express and most other popular mail programs.